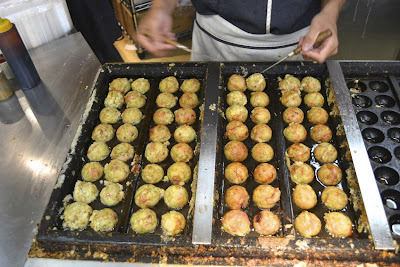 My son is crazy about Takoyaki, like I'm crazy about Cream Puffs. 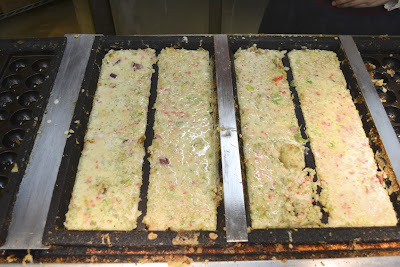 a relative of okonomiyaki and monjayaki. 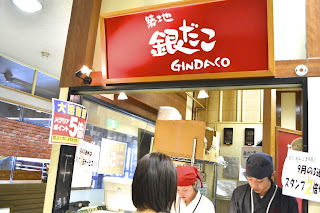 Gindaco is one of his favorites. 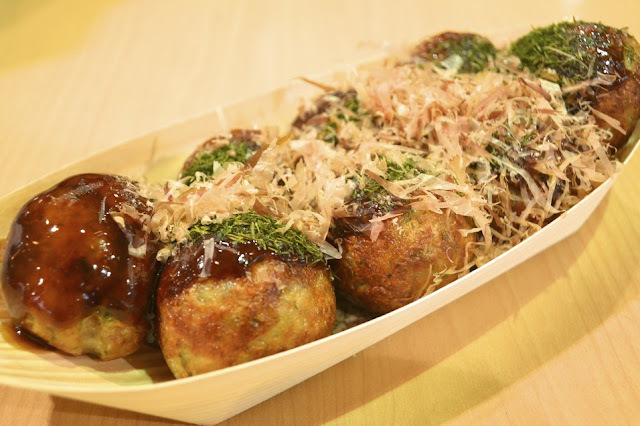 Gindaco Takoyaki can be found all over Japan (and now Singapore). 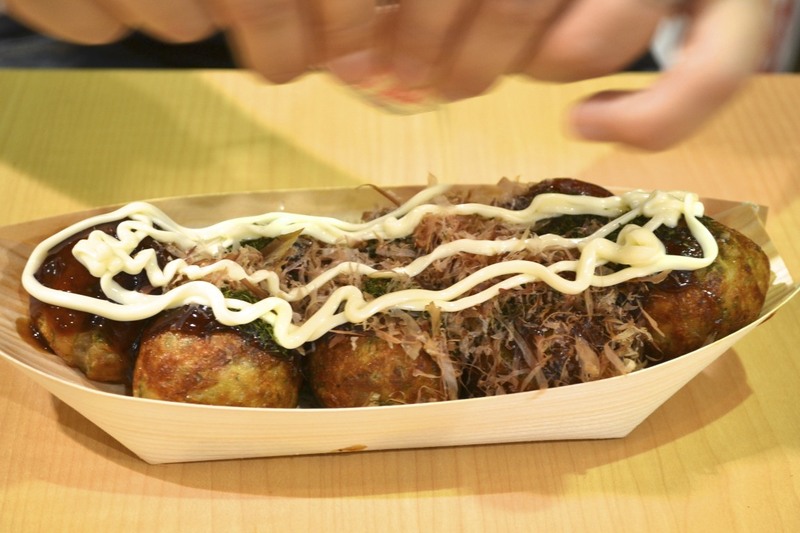 I heard that it's Japan's most popular takoyaki chain, and well deserved too, their delicious takoyaki have especially crisp shells. 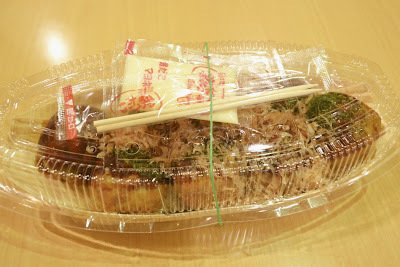 Served in a wooden boat, topped with ao-nori and katsuo-bushi, mayonnaise on the side and giant toothpicks to eat them with. Oh really? 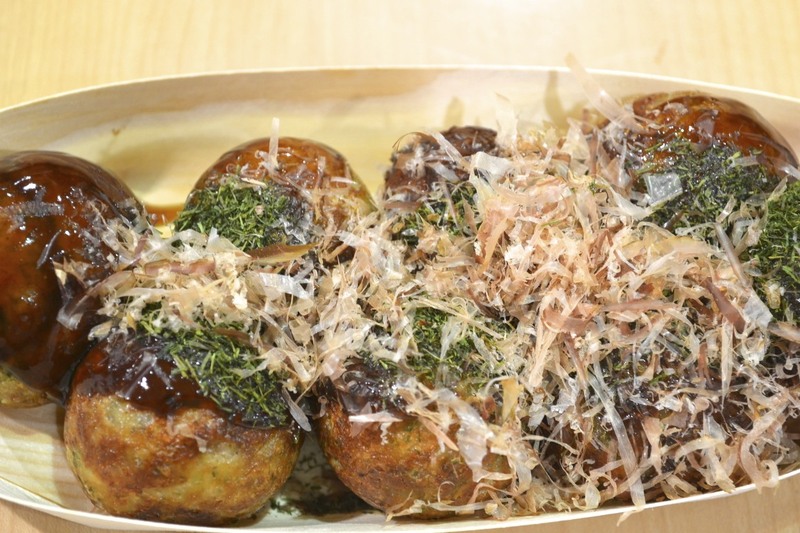 I hope you have the chance to visit Japan someday to try the takoyaki! 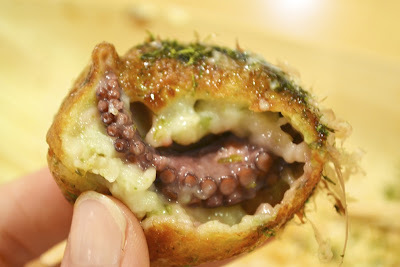 Or maybe try making your own following the takoyaki tutorial here. Thanks for your comment!